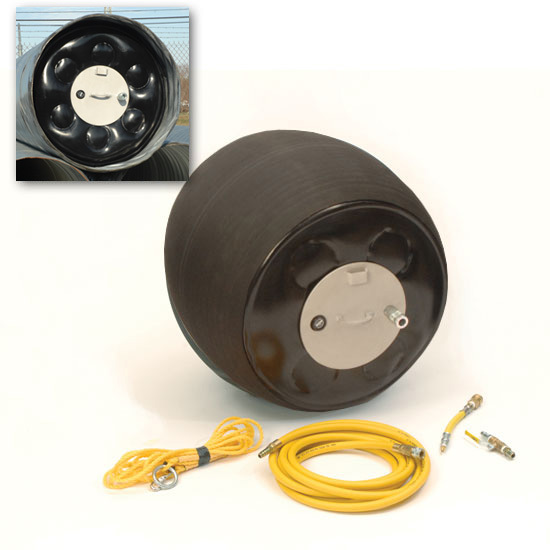 FlowStop Inflatable Stopper Pipe Plugs can be mixed or matched to meet specific Requirements. Call for details and pricing. We also design and develop custom pipe plugs, call with your specs. FLOWSTOP the world's only true Hazmat pipe plugs with/without flow through ports. Services pipe sizes 20" to 30"
is impervious to hydrocarbons and 99% of known chemicals. for easy storage into a 1630 case (optional). © 2013 Copyright Logos Inc.